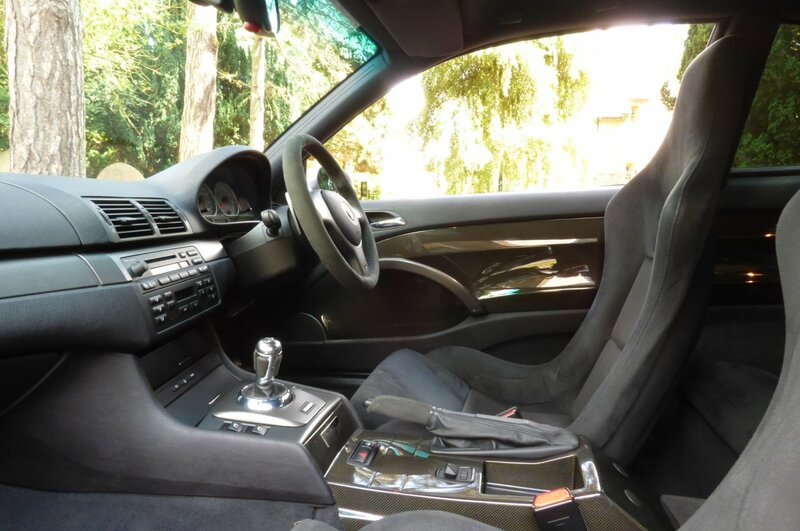 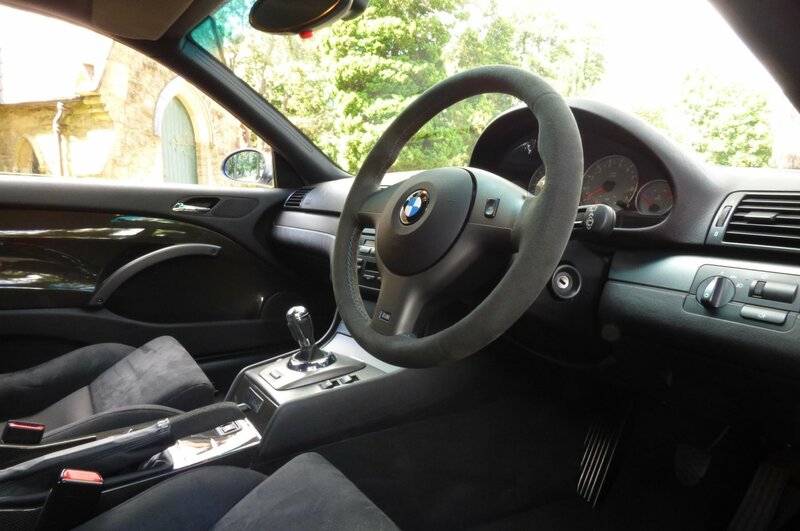 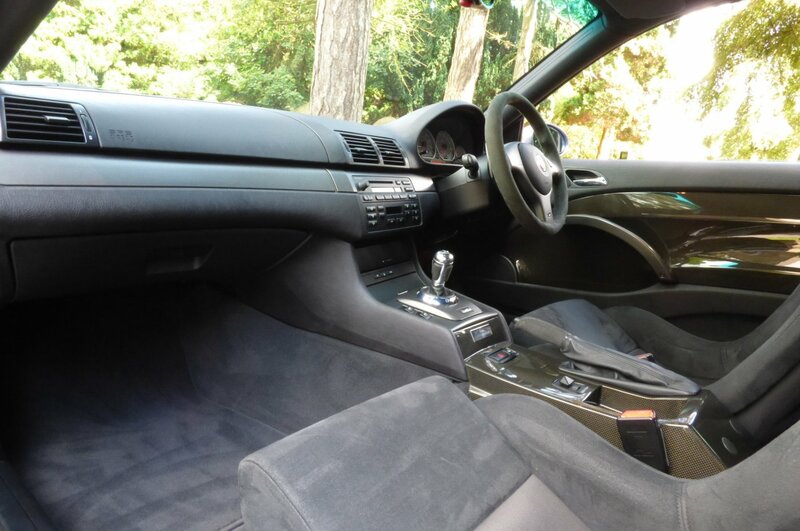 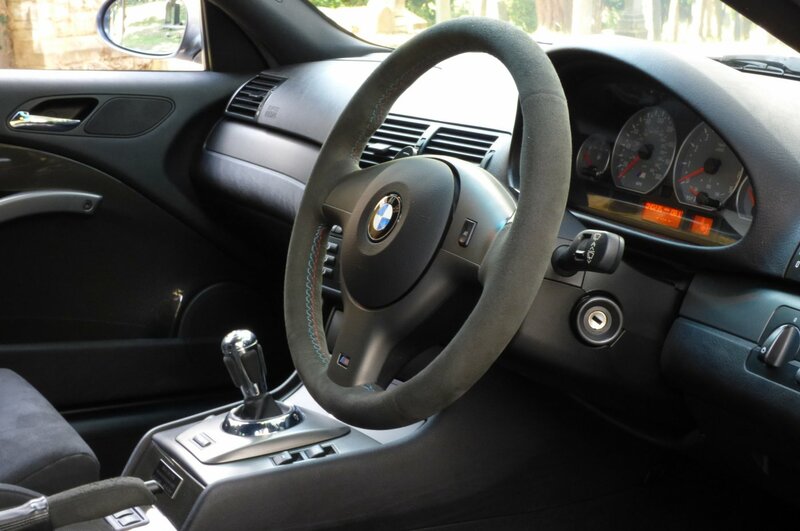 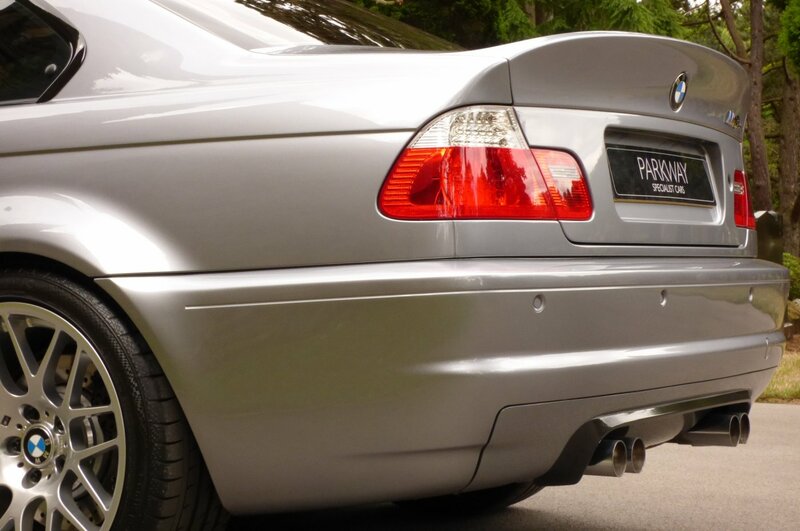 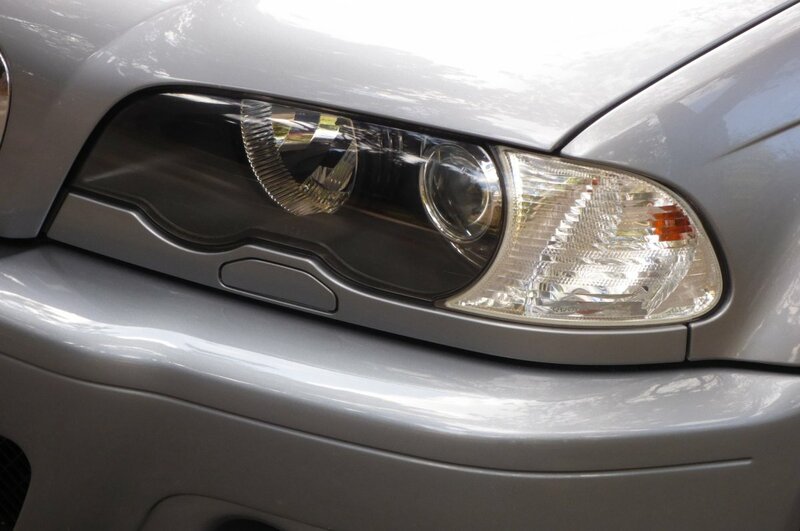 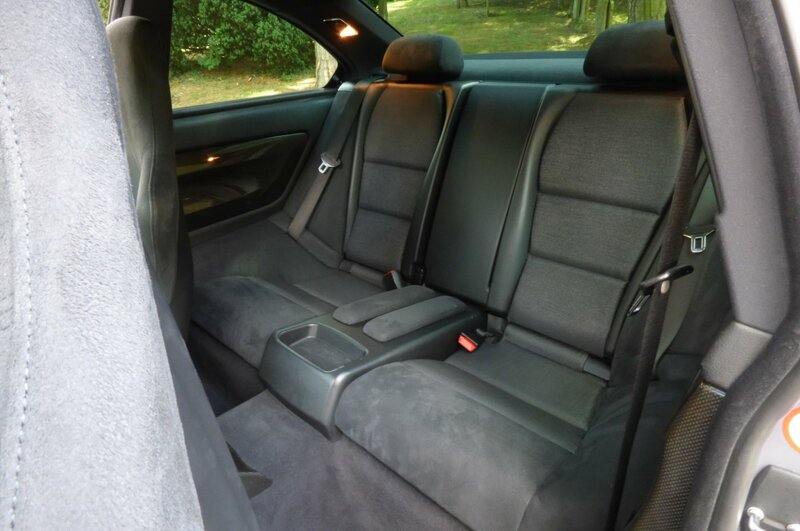 The BMW M3 Made Its First Appearance In The October Of 2000 At The Geneva Motor Show And Was Designed & Built In The M Department Of The Regensburg Factory In Germany. 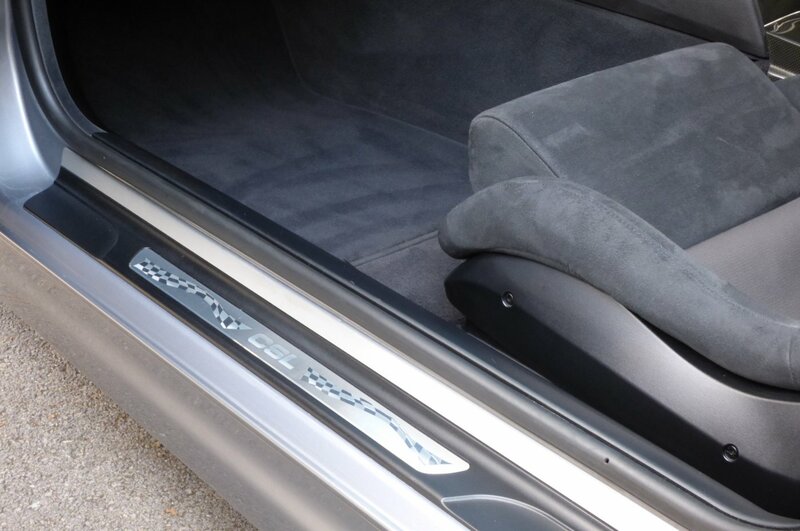 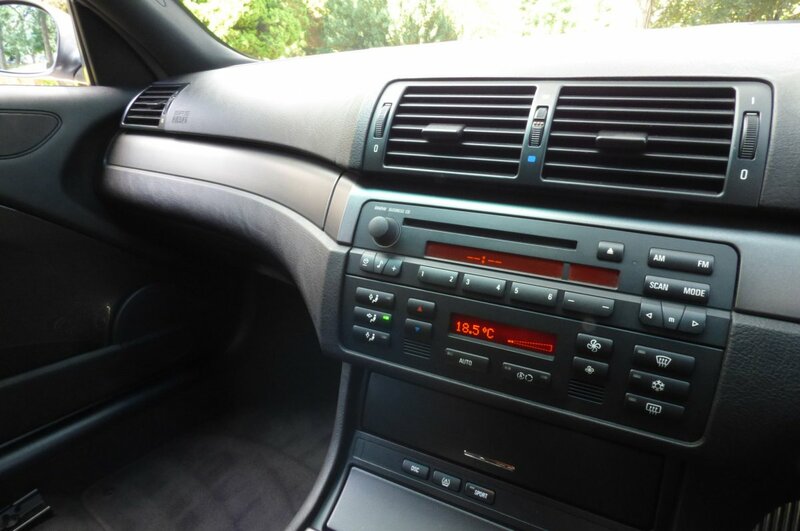 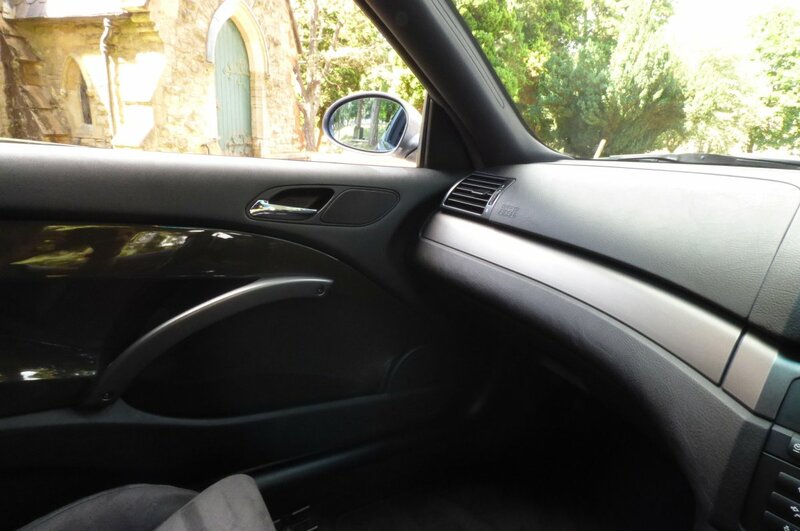 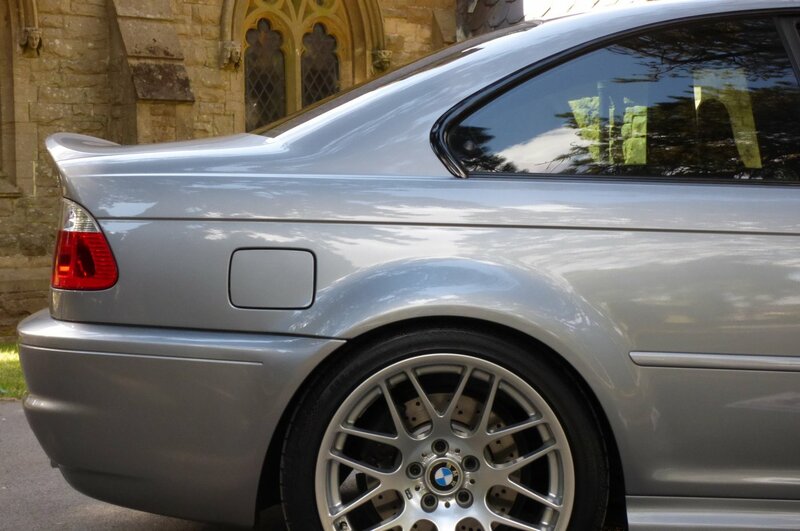 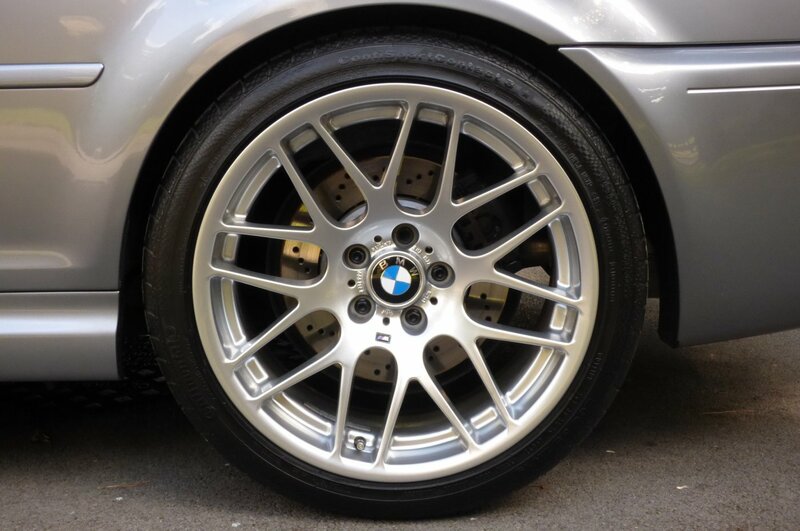 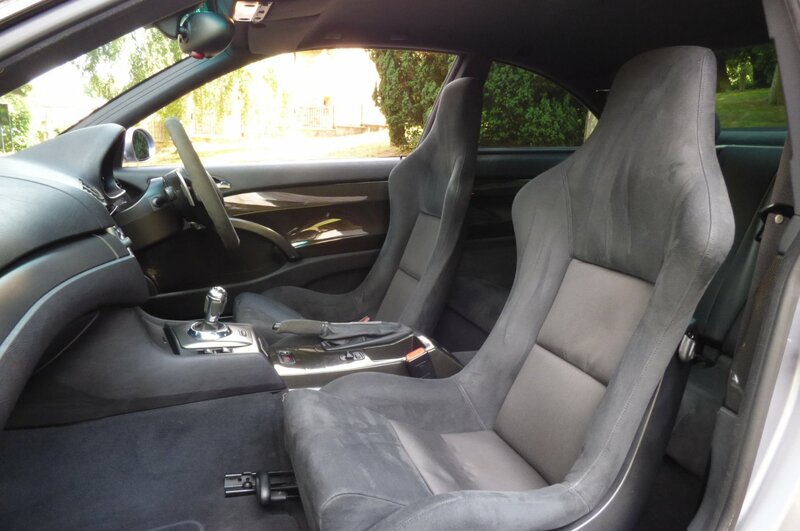 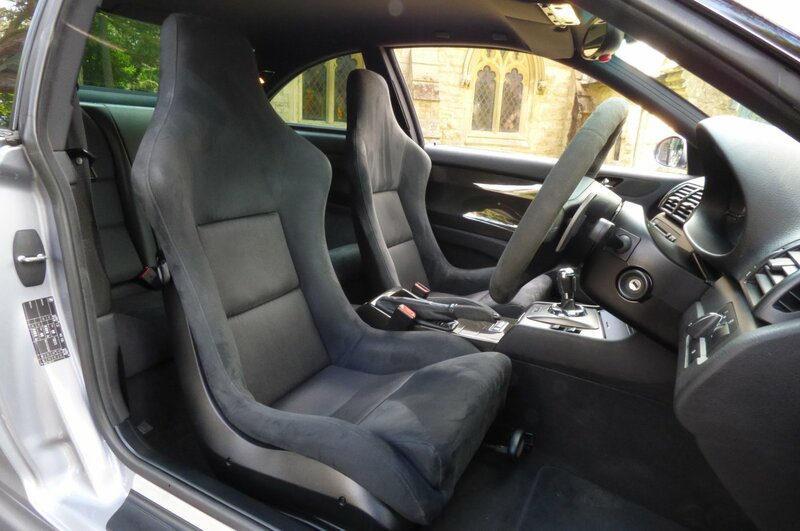 This Fabulous New Model Was To Take Over From The Much Loved E36 Model That Had Served The Motor Manufacture Well, But Like Many New Cars Would Offer A New Introduction Of Extreme Power, Mixed With Unrivalled Technology And Stunning Design Detail To The Interior & Exterior. 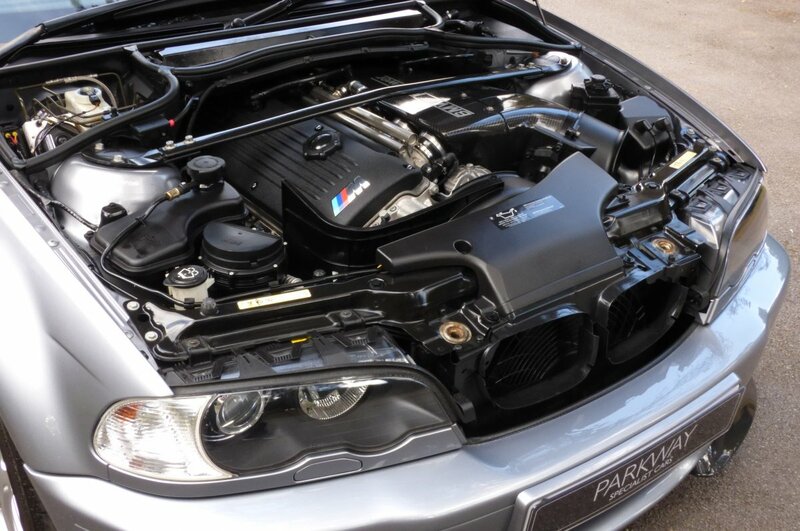 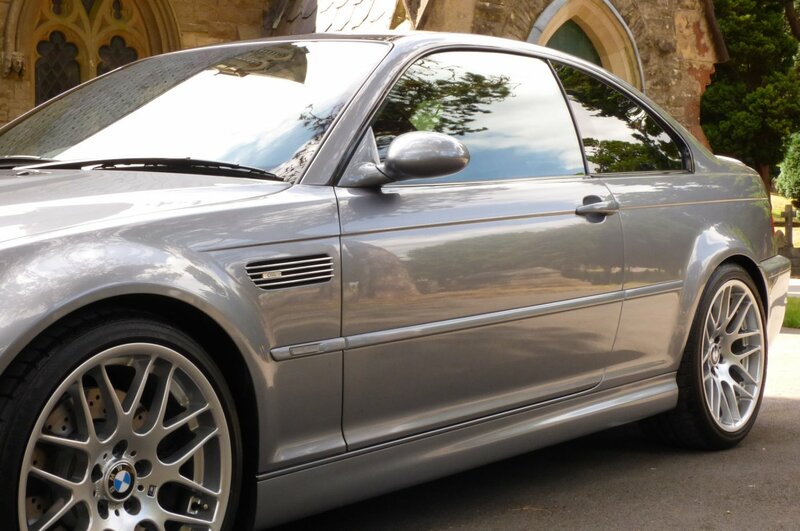 The Third Generation M3 Was Fitted With The Three Point Two S54 Engine And Also Came With The Option Of The SMG II Automatic Transmission, With This Perfect Collaboration Of Both Box And Engine Offering Clients The Ultimate In High End Performance With A Staggeringly Quick Gear Change, All Of Which Made This Model One Of The Most Successful Vehicles And Still Today Is Viewed As Being An Important And Integral Part Of The Company's History. 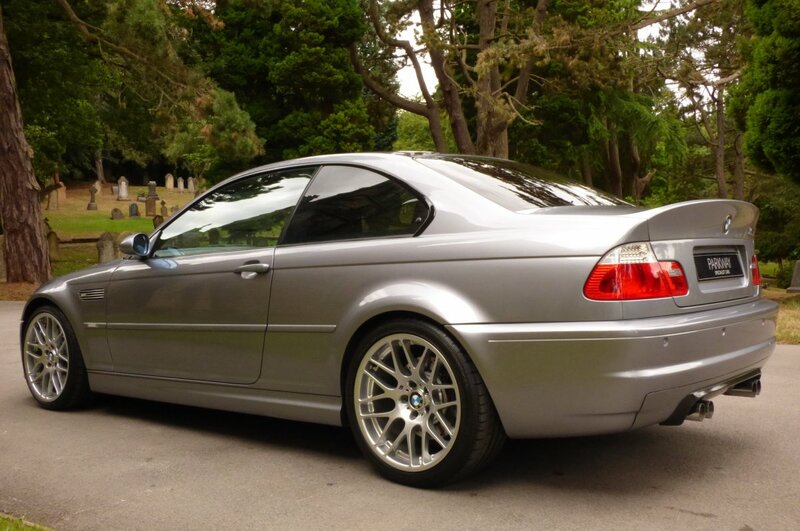 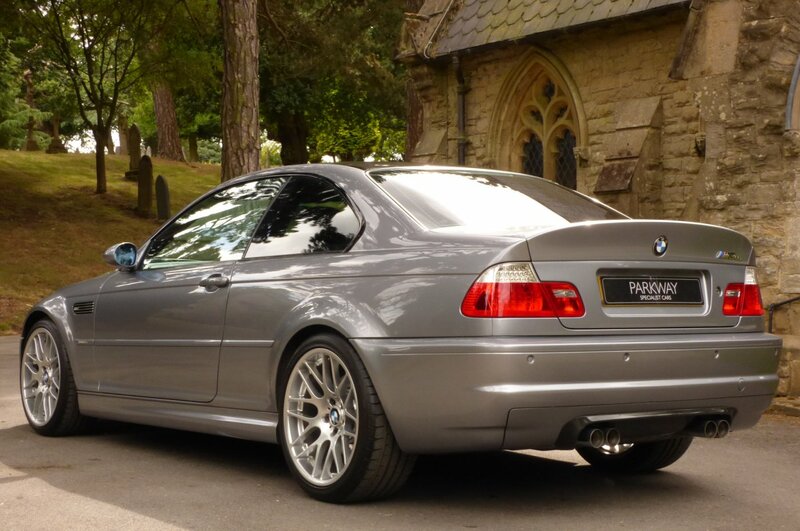 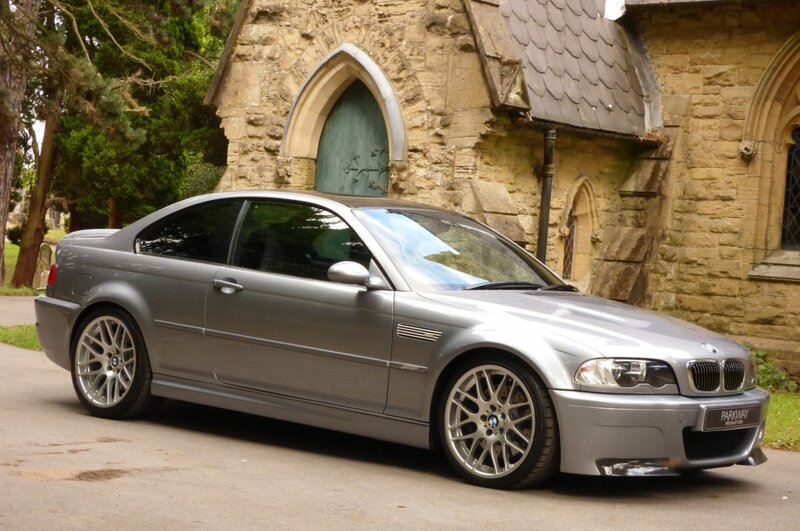 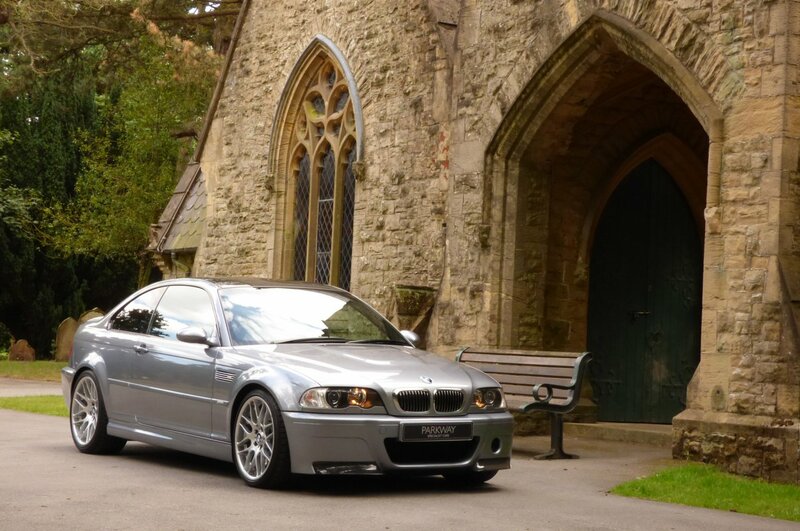 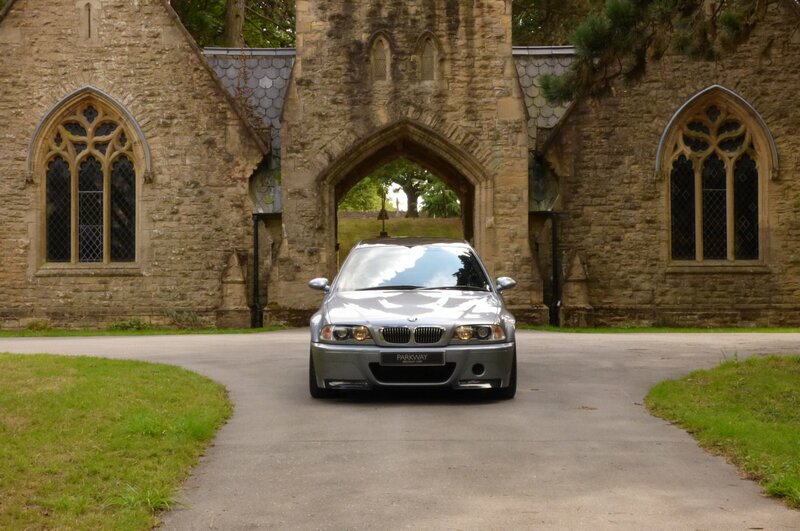 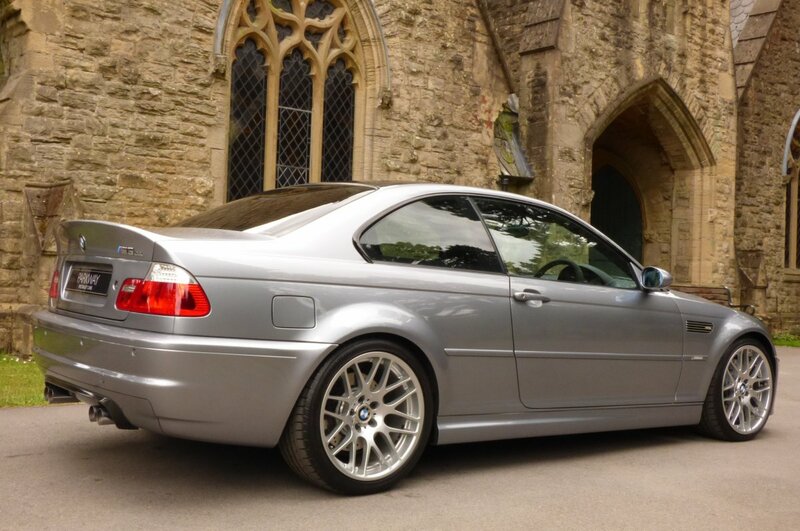 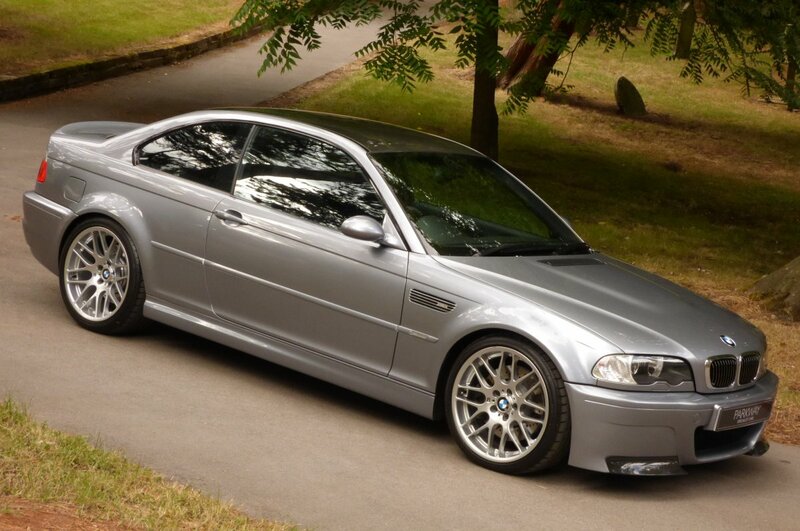 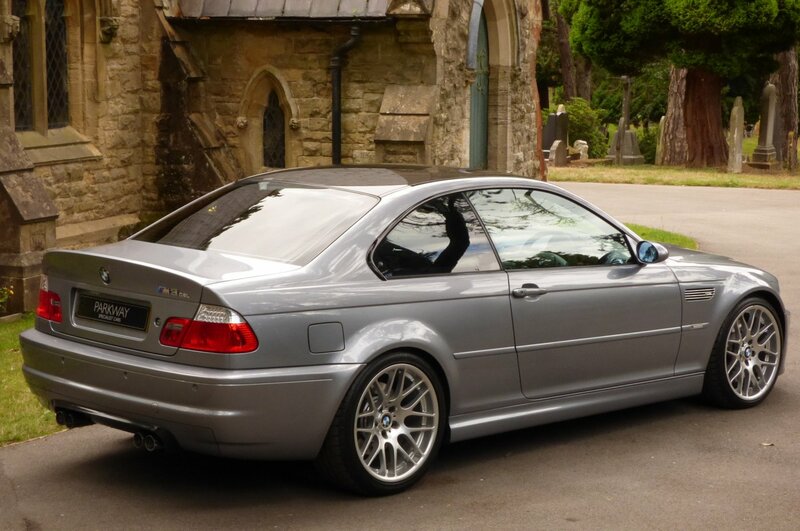 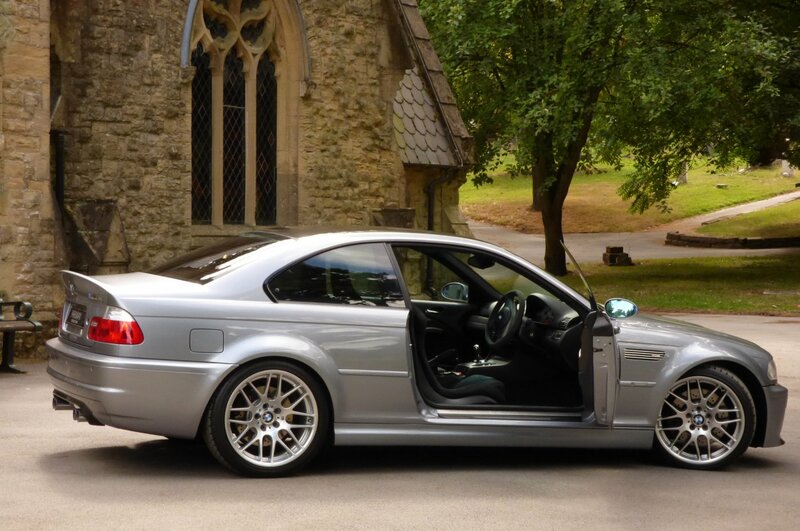 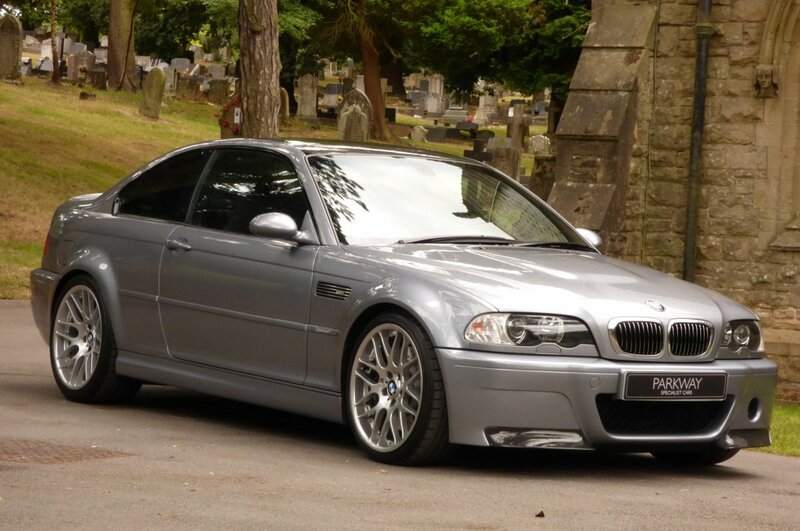 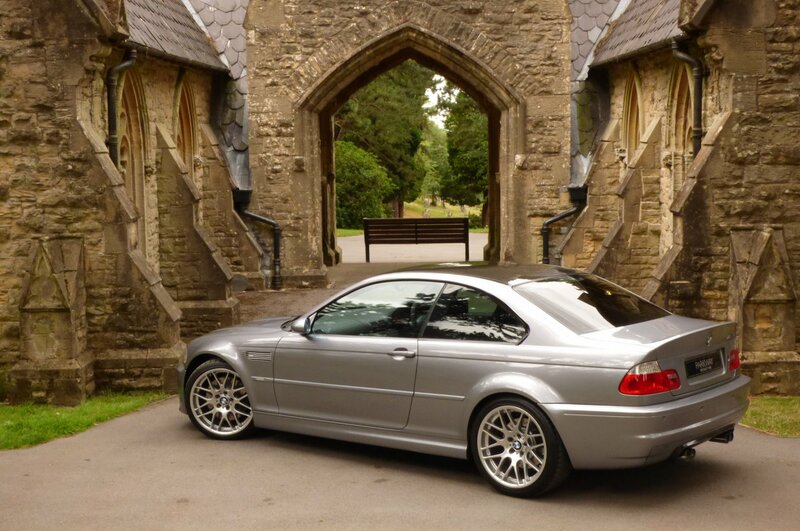 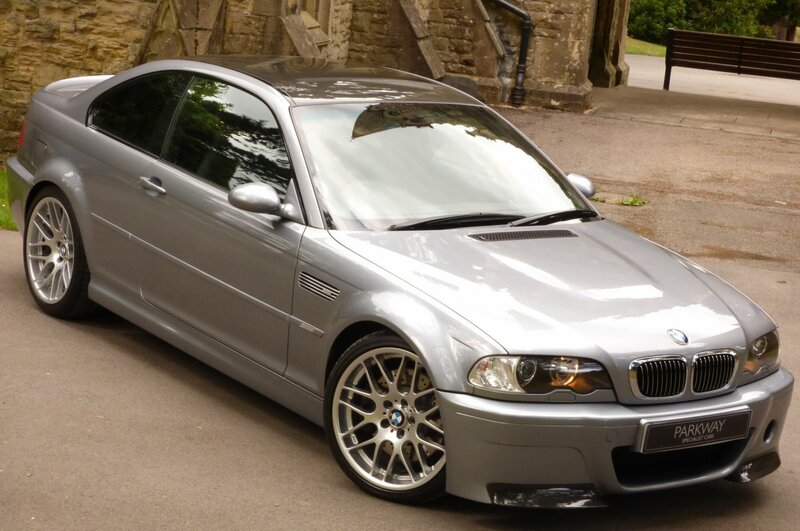 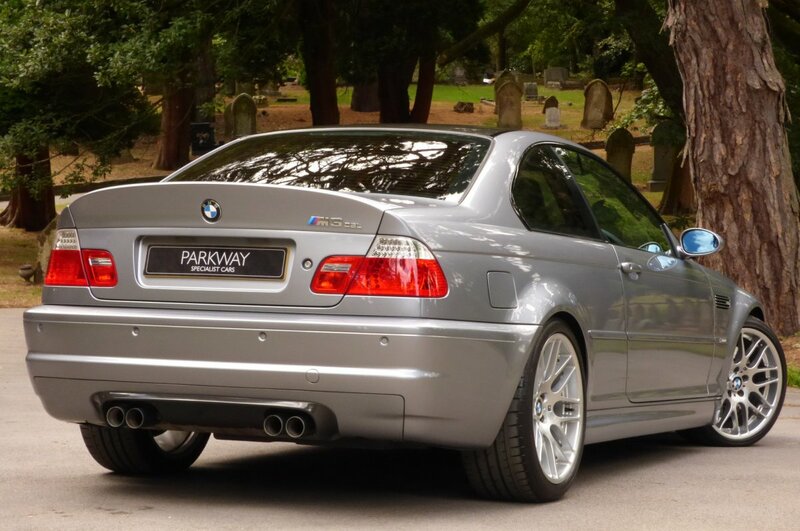 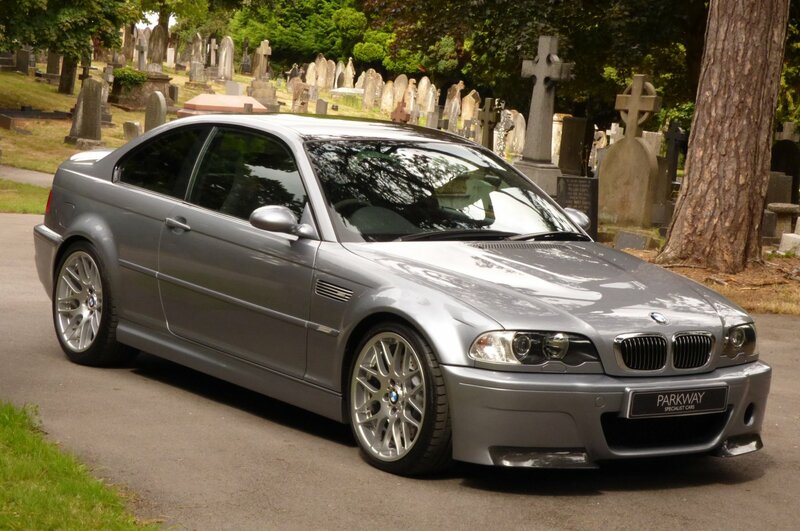 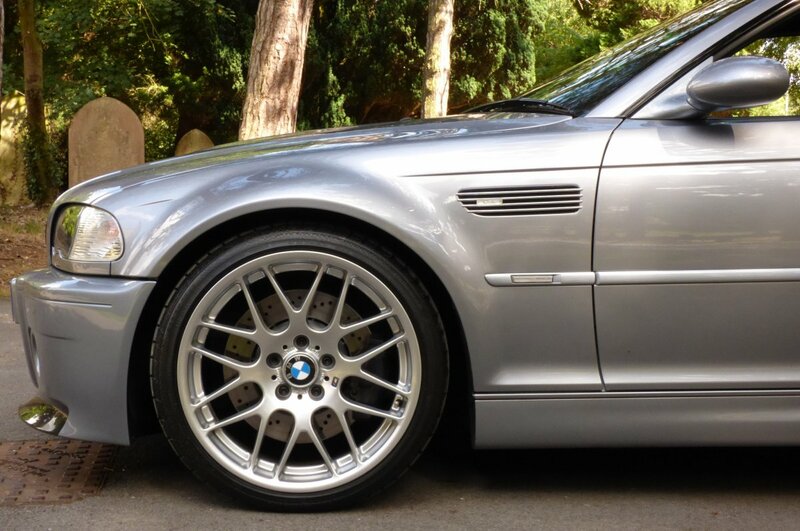 After The First Steady Influx Of Eager Buyers Venturing Into BMW Dealerships During The First Four Years, The M Division Wanted To Offer An Improved Limited Edition Onto The Scene, So With This The BMW E46 M3 CSL Was Created And With Just 1383 Vehicles To Be Produced Worldwide, With Only 422 Of These Cars Destined For The UK With An Unequal Split Of 316 Silver Grey Examples And Just 106 Black Sapphire Vehicles, Rarity Was The Name Of The Game And Still If We Fast Forward To 2018, These Stunning Powerhouses Are Now Acquired By Private Collections/Investors From All Corners Of The Globe. 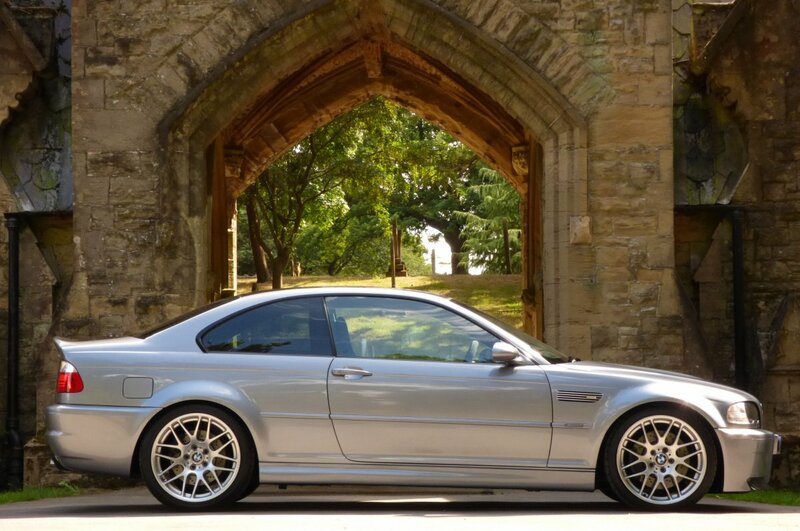 The CSL Or Coupe Sport Lightweight Gave A Combination Of Intelligent Construction And Formula One Technology, Which Gave Irrepressible Power, Fascinating Agility And Extra-Ordinary Precision, A Concept Which Had Bought Numerous Victories For The Legendary BMW CSL During The Early Seventies In The Touring Car Races. 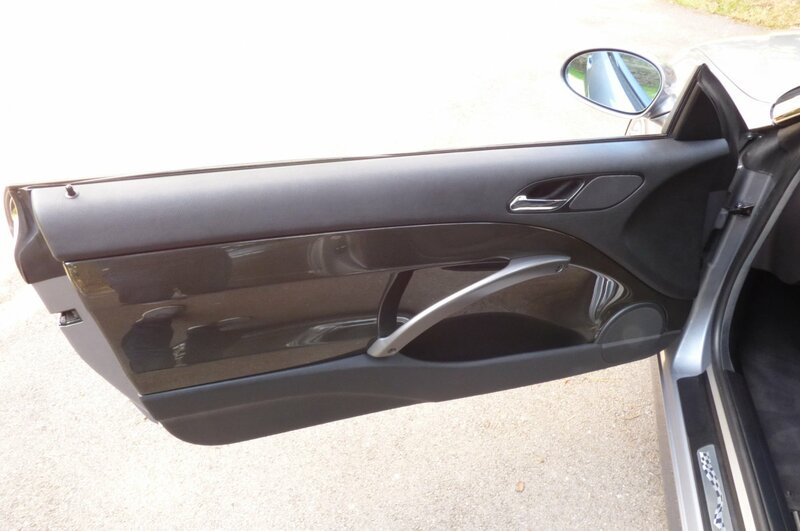 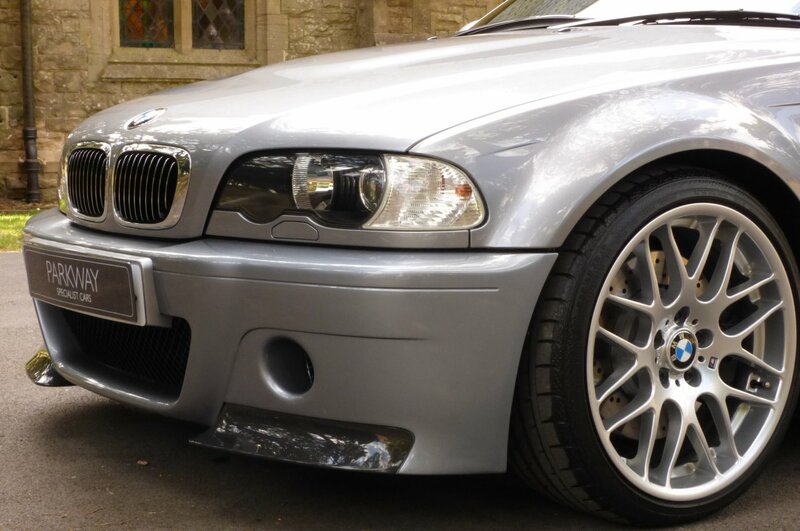 The Exterior Design Offered Subtle Detailing To Include A Large Intake Air Opening On The Left Side Of The Front Apron, A Carbon Fibre Roof, An Integrated Sculptured Boot Spoiler, A Thinner Glass Rear Screen, Distinctive 19" Lightweight Cast BBS Alloy Wheels, Various Further Carbon Fibre Valances And An All New Lightweight Interior With Unique Alcantara Glass Fibre Reinforced Hard Shelled Bucket Seats, Which Reduced Weight From The Original M3 By 110 kg. 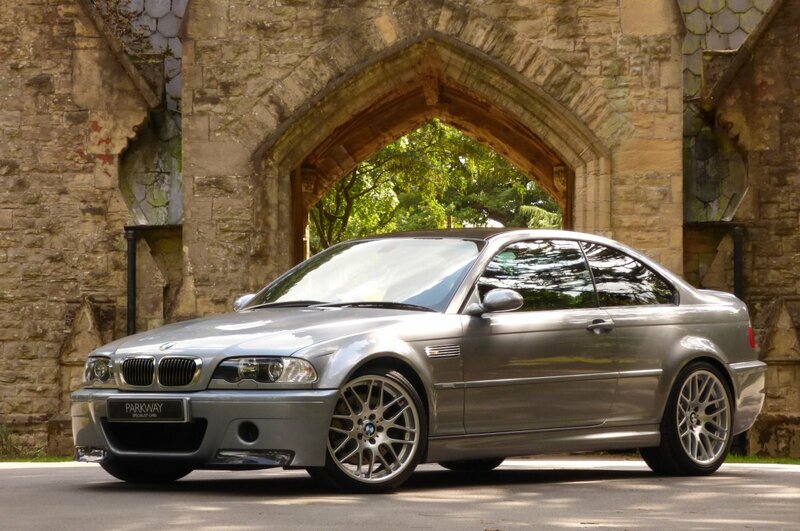 Power Was Also Increased From 343 BHP To An Astonishing 355 BHP, Thanks To The Use Of Sharper Profile Camshafts, A Bigger Air Intake With Carbon Fibre Manifold, A Refinement Of The Exhaust Manifold And Slightly Different Exhaust Valves, Which Meant 0-62 MPH Could Be Achieved In 4.9 Seconds And Then Would Further Climb To An Electrically Limited Top Speed Of 155MPH. 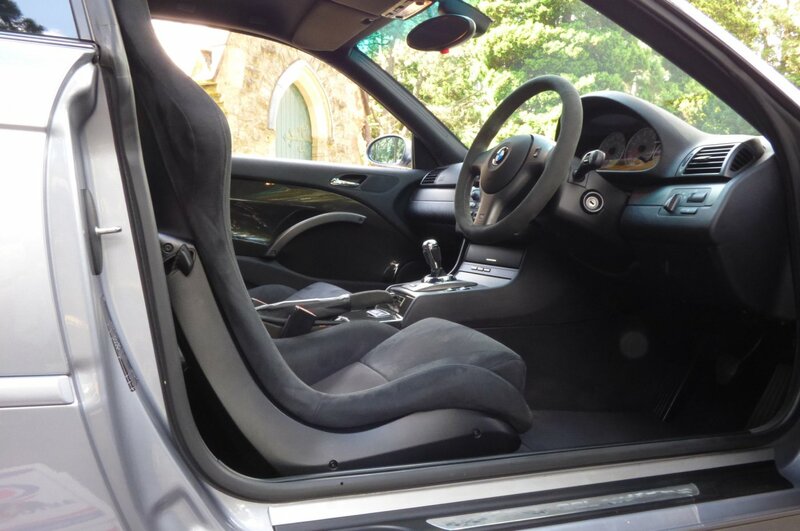 The BMW Factory Tested Their Car Prior To Launch At The Nurburgring Nordschieife Track, Which Was Able To Complete A Lap In A Remarkable Time Of Just Eight Minutes Flat And Those Familiar With One Of The Worlds Toughest Race Tracks, Should Fully Understand This Impressive Time And The Astonishing Efforts Made By The M Division In Order To Get This Sensational Lap Figure. 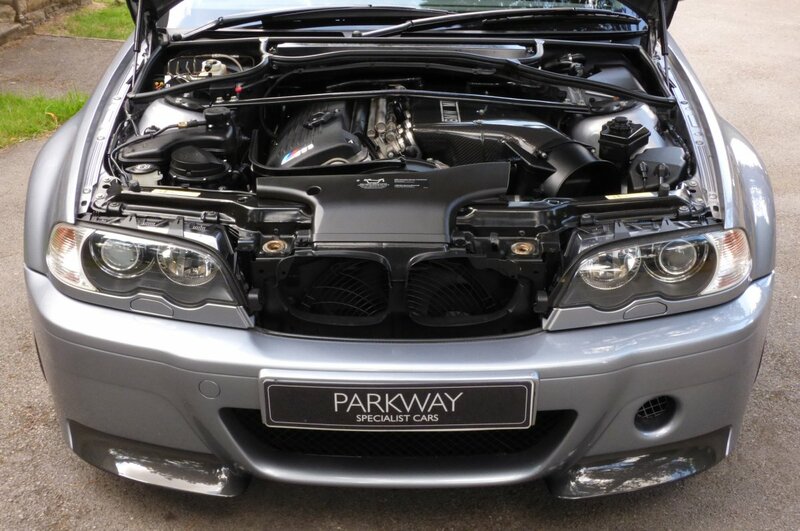 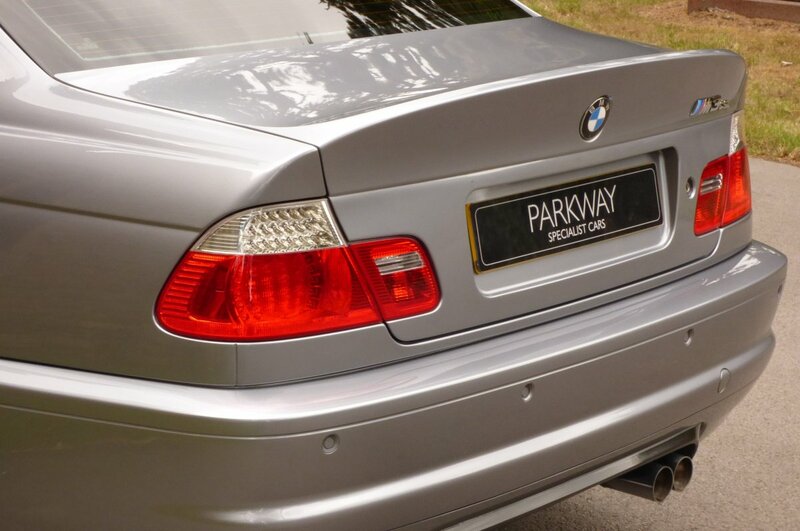 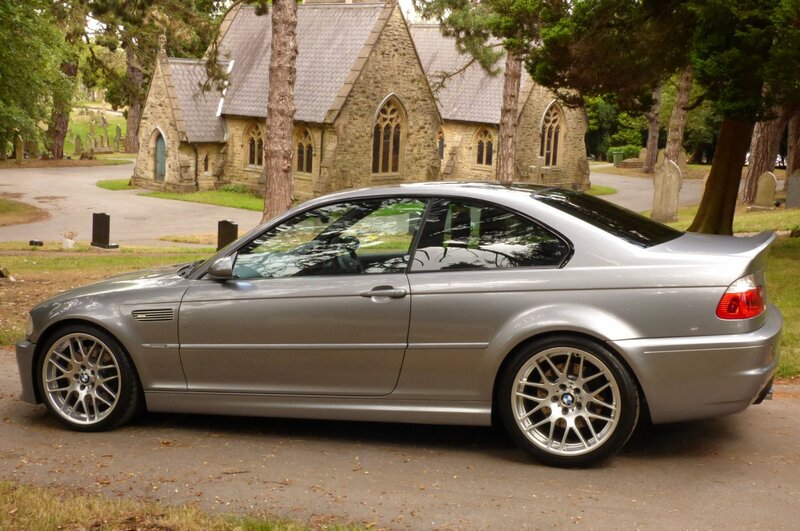 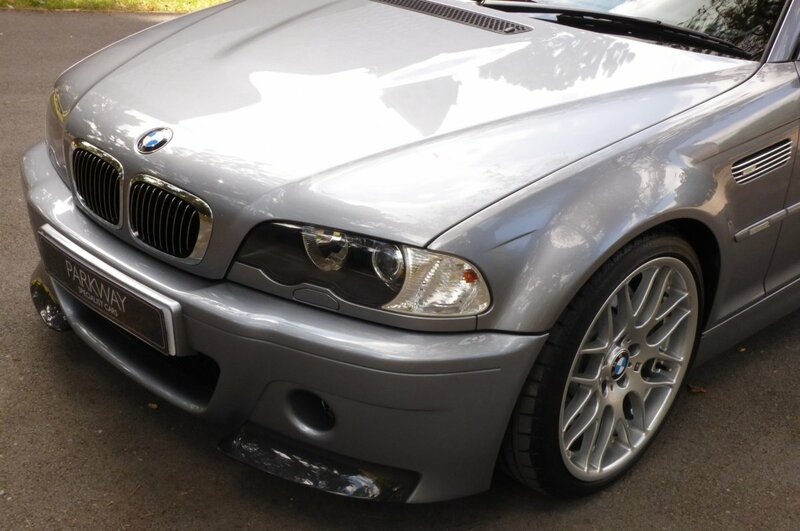 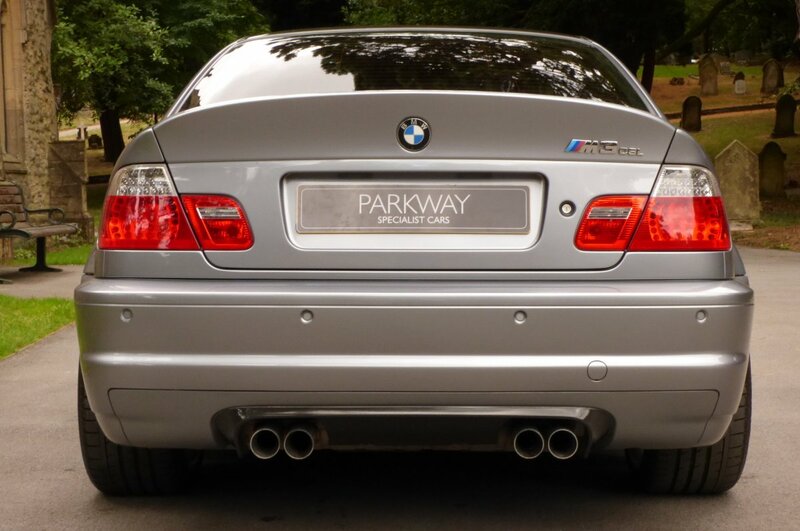 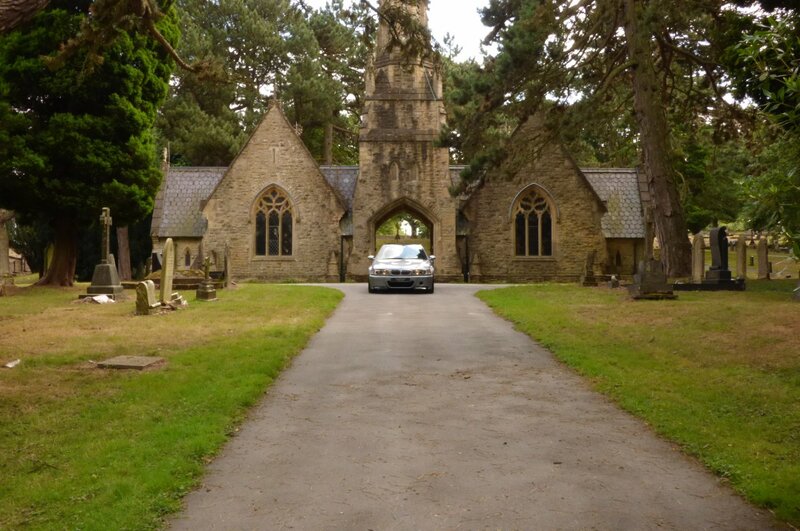 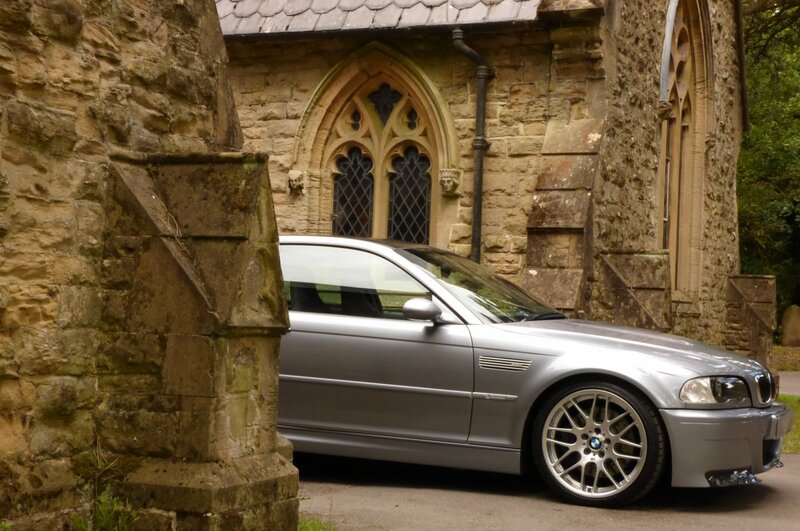 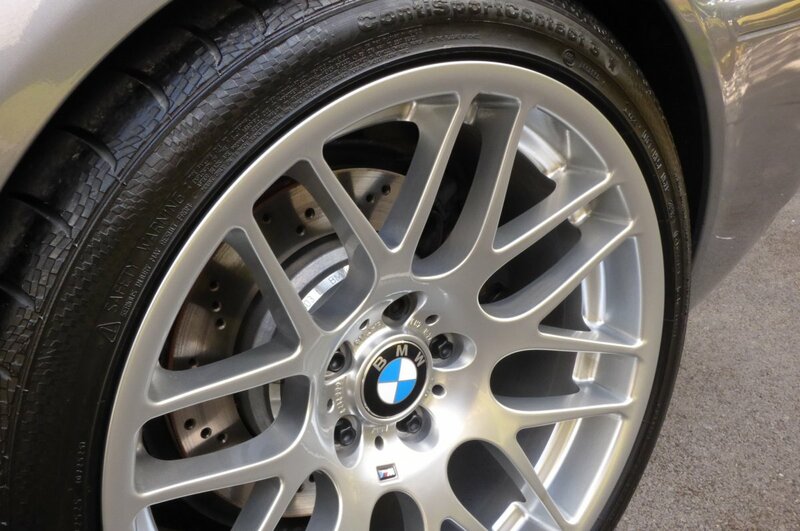 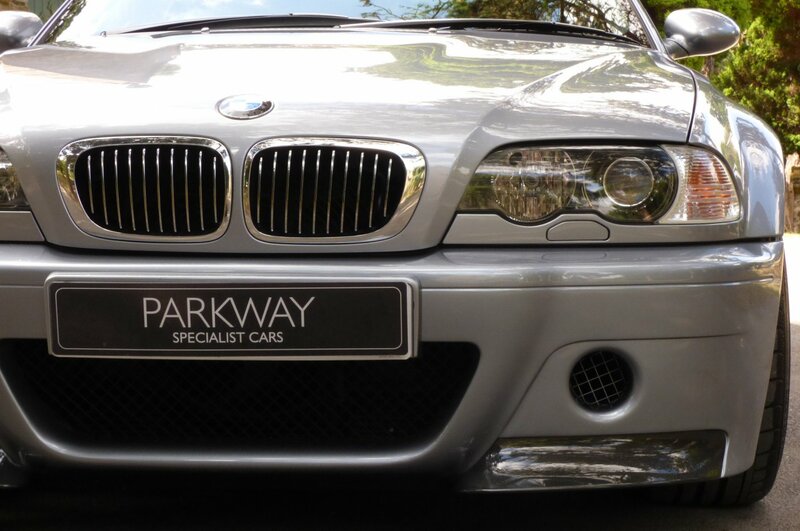 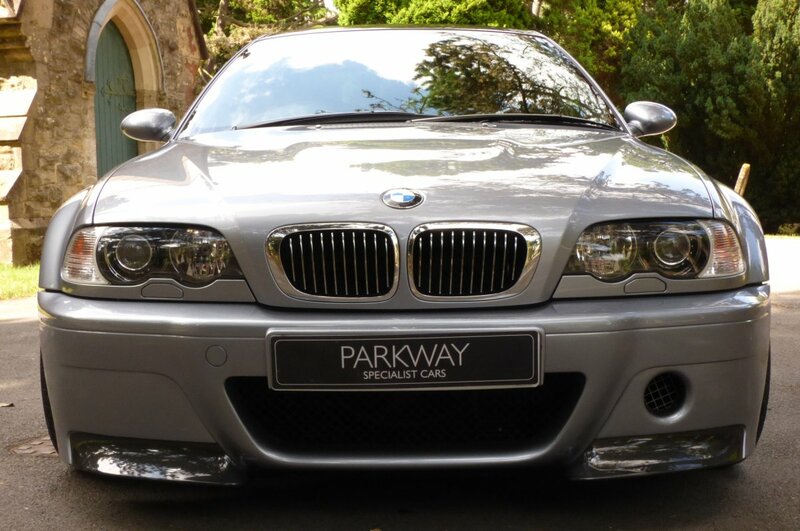 This Stunning Example Was First Supplied By Fawdington BMW In The December Of 2003 And Since This Date Of First Registration Our Offering Has Had Just The Four Private Keepers From New, With The Last Registered Keeper Acquiring The Car In The July Of 2011. 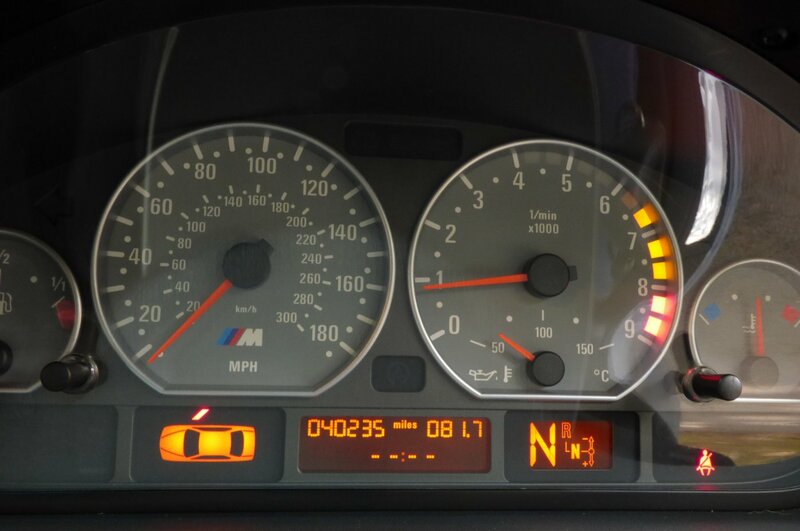 Over The Last Fifteen Years Chassis Number JC98446 Has Had Just 40235 Miles Applied, To Which Roughly Works Out At Just 2682 Miles Per Annum, However Regardless Of This Sensational Mileage Reading The Vehicle Has Been Maintained To The Highest Of Standards To Include Past Historical Visits Logged With BMW At 1792, 9643, 19299, 30679, 34068, 36449, 39184 & 40043 Miles, With The Last Being An Inspection Two Service Completed By North Oxford BMW In The February Of 2017 Which Now Shows The Next Scheduled Service Due In 15200 Miles. 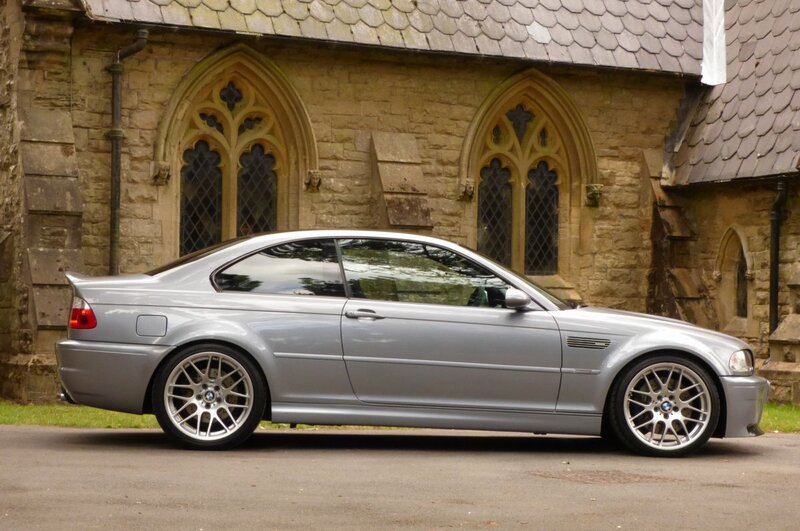 To Further Validate The Vehicles Current Provenance This CSL Will Be Presented To The Next Lucky Custodian With The Entire Booklet Pack Set, An Extensive Invoice Trace, A Fully Cleared Hpi Certificate, A Fully Functional Key Set And The Original Build Card Listing All The Options Opted For From New, Which Is All Fully In Place For That Next Keeper To Enjoy And Cherish During Their Own Time Of Ownership. 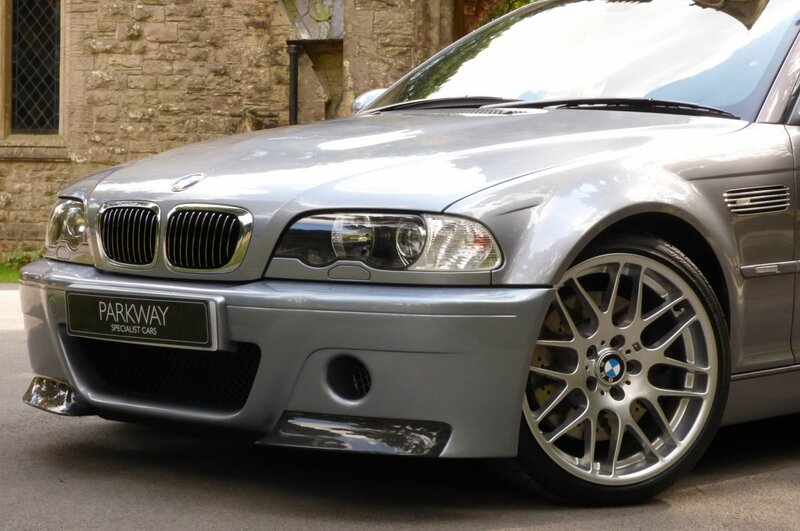  This Is A Fabulous Blue Chip Investment Opportunity To Which We Expect A Healthy Interest From Collectors From All Four Corners Of The Globe, So If You Require This Car To Be Shipped, Then Please Contact Our Sales Team Full Full Written Details And Costings. 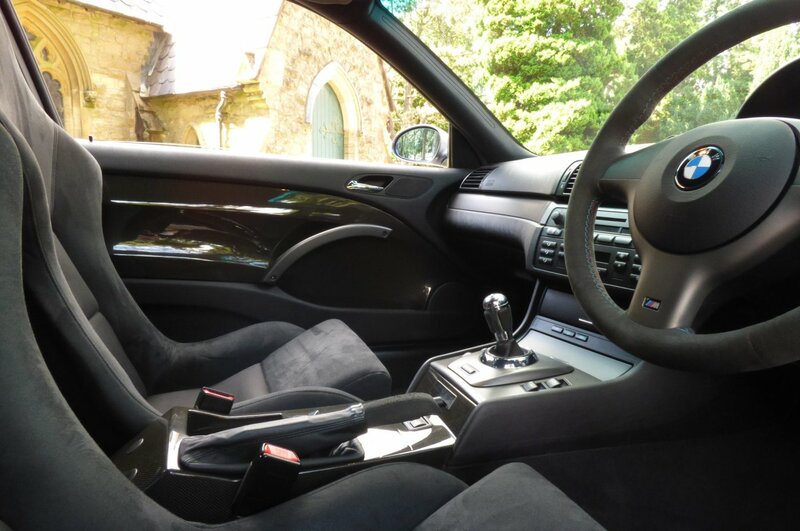 The CSL Cockpit Offers The Driver A True Motor Racing Atmosphere, Which Gives That Perfect Balance Of Pure Driving Dynamics, Intelligent Lightweight Construction And Astonishing Attention To Detail. 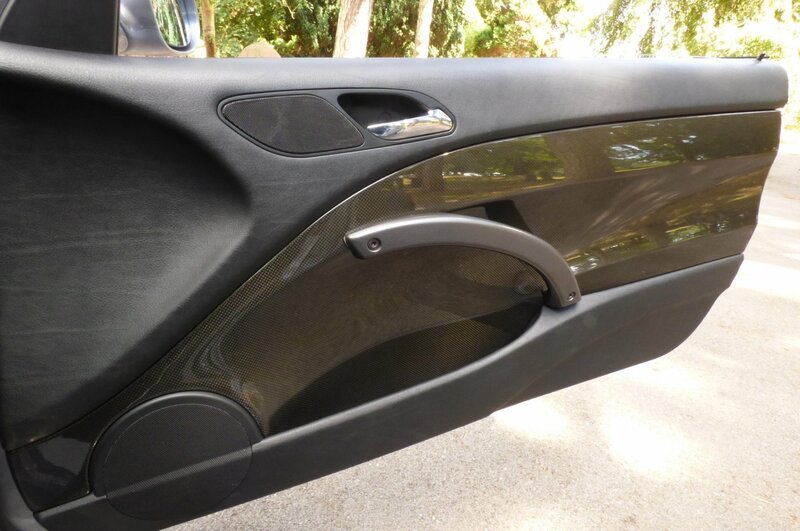 From Factory Build This Example Had The Signature Amaretta Fabric Covered Hard Backed Shelled Glass Fibre Reinforced Bucket Seating Beautifully Complemented With Black Twin Needle Stitch Detail, The Carbon Fibre Reinforced Door Cards With The Dark Grey Painted Grab Handles, The Black Dash That Wraps Around This Truly Exciting Cabin Space, The Three Spoke M Suede Trimmed Steering Wheel Decorated With M Coloured Stitch And The Infamous M Track Mode Button, The Black Carpets That Have Been Protected With BMW Over Mats, The Black Fabric Roof Lining, The Carbon Fibre Drivers Centre Tunnel, The Dark Grey Painted Interior Inlays And Finalised With The CSL Embossed Chromed Internal Door Sill Covers, That Complete This Inviting Interior. 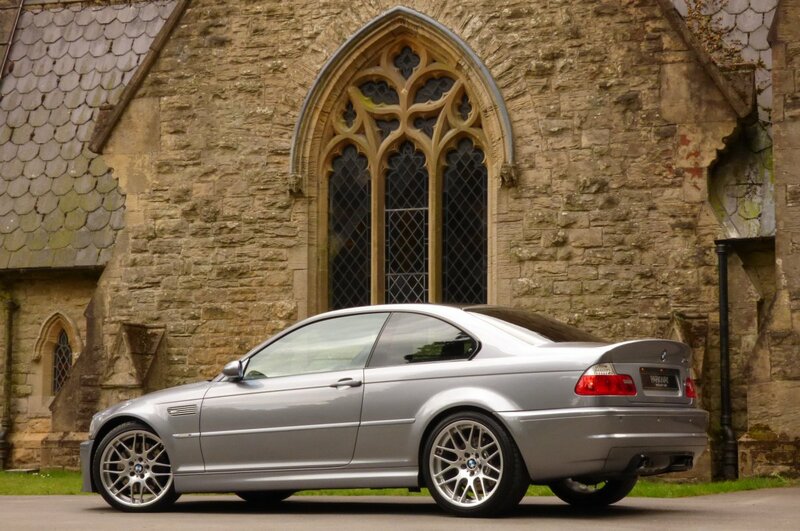 The BMW M3 CSL Focuses Purely On The Essentials, As With The Purist Of Motor Racing, There Is Little Need For Either Satellite Navigation Or Heated Seating, Just The Need To Be Ahead Of The Race Pack. 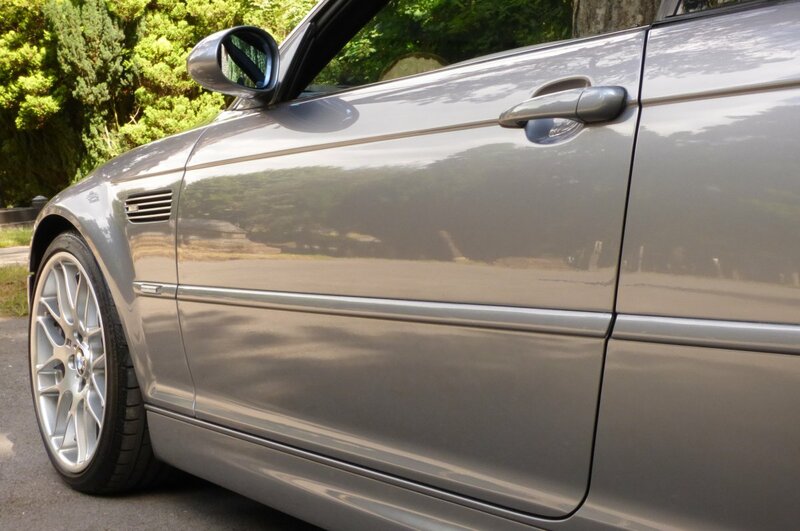 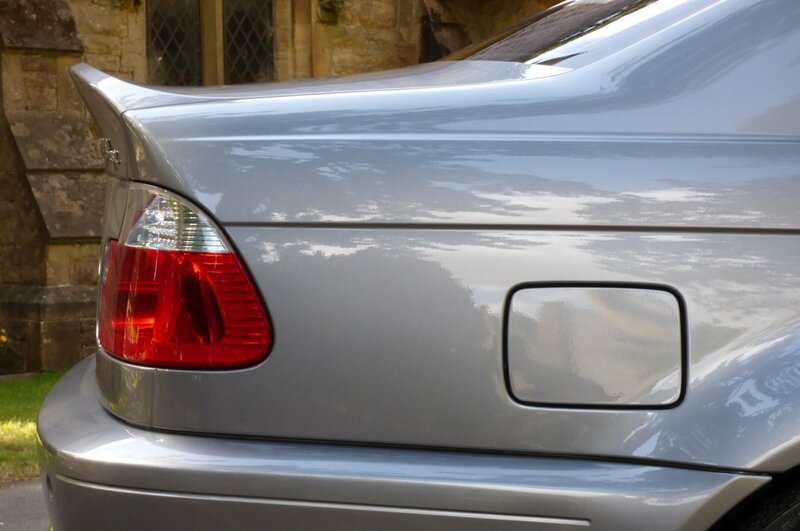 The Aggressive Sculptured Body Is Presented In The Silver Grey Metallic (A08), With This Gleaming Paint Finish Perfectly Demonstrating Exquisite BMW Lines, Those Powerful M Curves And Subtle CSL Detailing. 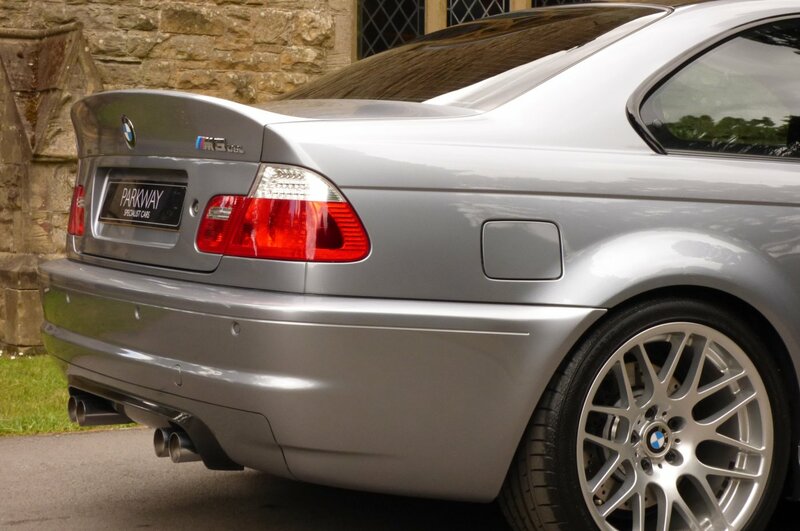 Further Signature Factory Styling Is Presented With The Unmarked 19" Lightweight Cast BBS Multi Spoke Alloy Wheels Which All Sit On The Correct Branded Tyres, The Carbon Fibre Full Roof, The Duck Tailed Rear Boot Lid Spoiler, Carbon Fibre Front Lower Bumper Valances, The Large Front Bumper Air Intake Opening, The Chromed Tipped Quad Exhaust System, The Carbon Fibre Rear Bumper Valance, The Chromed Plated Front Kidney Grilles, AP Embossed Black Brake Calipers, The Chromed Finished Side Blades Decorated With The Subtle CSL Motifs, The M Embossed Carbon Fibre Air Manifold, The Blackened Hexagon Front Lower Bumper Grille, The Sun Protection Privacy Glass, The Blackened Honeycombed Bonnet Vents And Presented With The Chromed CSL Badge On The Boot Lid, That Finalises This Aggressive Vehicle Stance. 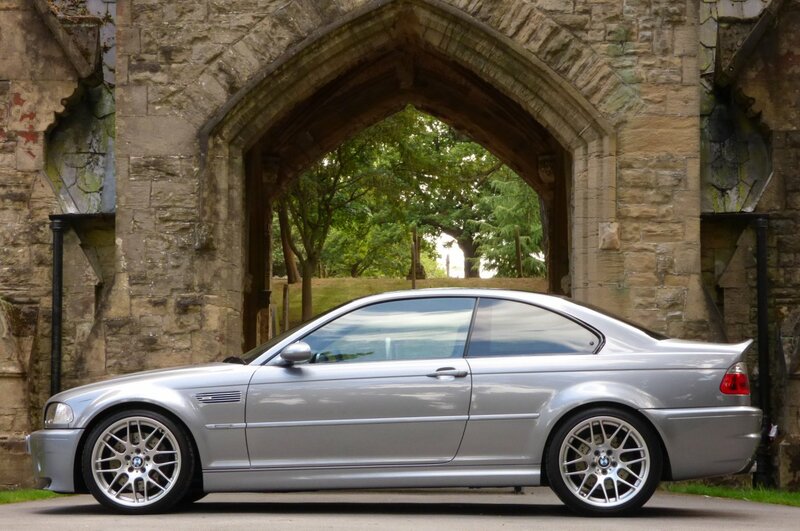 From Every Given Angle The BMW M3 CSL Looks Sensational And Would Be Well Suited Outside A London Town House Or As The Perfect Vehicle For That Planned European Adventure. 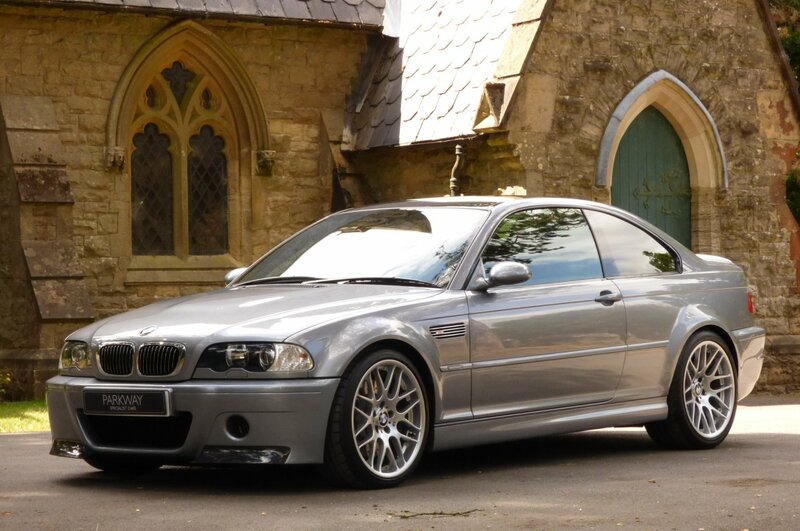 We Are Delighted To Have Available On Our Current Vehicle Inventory This Stunning BMW M3 CSL With Factory Specification To Include The Factory Option Of The Dual Zone Climate Control, Rear Park Distance Control, Sun Protection Privacy Glass, Chromed Tipped Quad Exhaust System, Xenon Headlights With Power Wash Function, Chromed Kidney Front Grilles, Carbon Fibre Rear Bumper Valance, Split Folding Rear Seating, BMW Business Radio With CD Function, CSL Embossed Chromed Internal Sill Kick Plates, Suede Covered Hand Brake Lever, Carbon Fibre Centre Drivers Tunnel, The Suede Trimmed Three Spoke Steering Wheel With Paddle Shift, Electric Windows, Electric Mirrors, Remote Central Locking With Alarm, Factory Carbon Fibre Roof, Unmarked 19" Lightweight Cast BBS Multi Spoke Alloy Wheels, BMW Trip Computer, CSL Exterior Badges, The M Track Mode Button And So Much More. 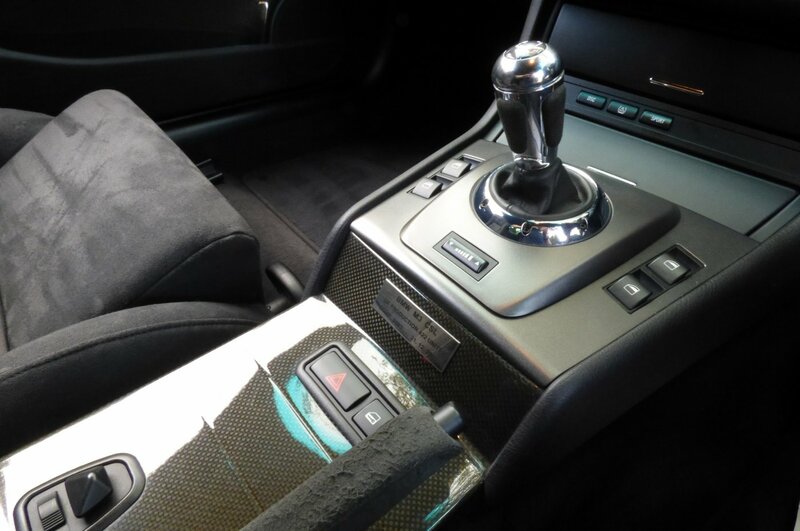 Presented For Sale With The Entire Booklet Pack Set, A Fully Cleared Hpi Report, An Extensive Past History Trace, A Fully Functional Key Set And An Original Factory Build Card.